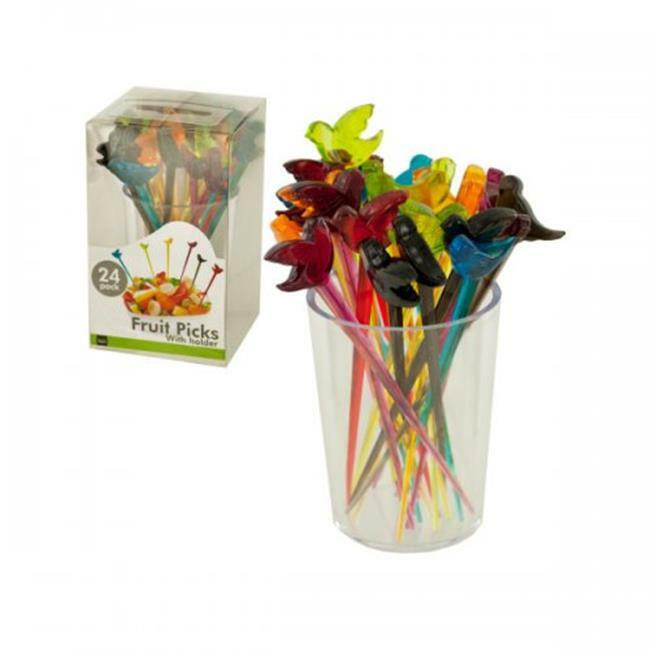 Perfect for spearing fruits and appetizers, this 24-piece Colorful Bird Fruit Picks Set features transparent colored plastic picks with shapes of sitting birds and birds with spread wings on top. Includes a transparent storage cup. Each pick measures approximately 3.5'' long.